As dietary restrictions become more and more mainstream, new restaurants have been opening to cater to these groups. In Los Angeles, vegan restaurants that serve contemporary cuisine and appeal even to meat eaters have been opening right and left (Crossroads, Gracias Madre, Sun Organic Cafe, The Gardarene Swine). So it only makes sense that Kosher restaurants would do the same. 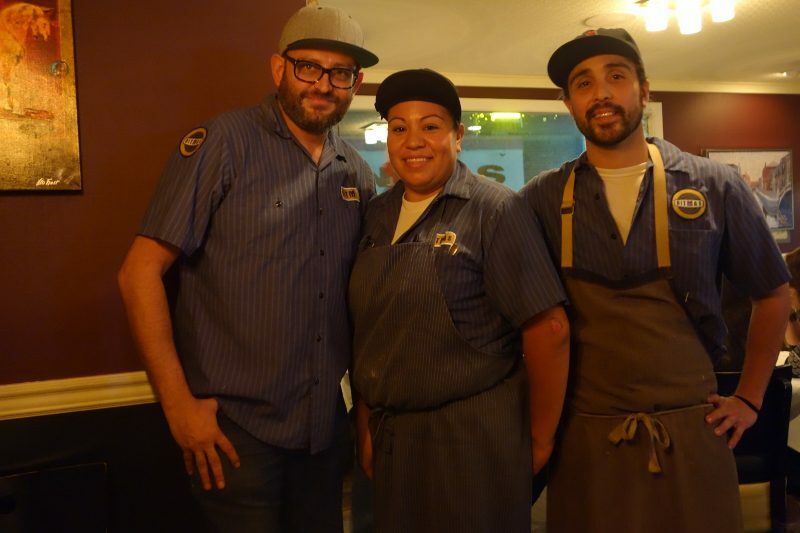 “For those who want to keep kosher and teach their children to be kosher, they can’t go to Marstro’s or Bestia,” Chef Alex Reznik explained. 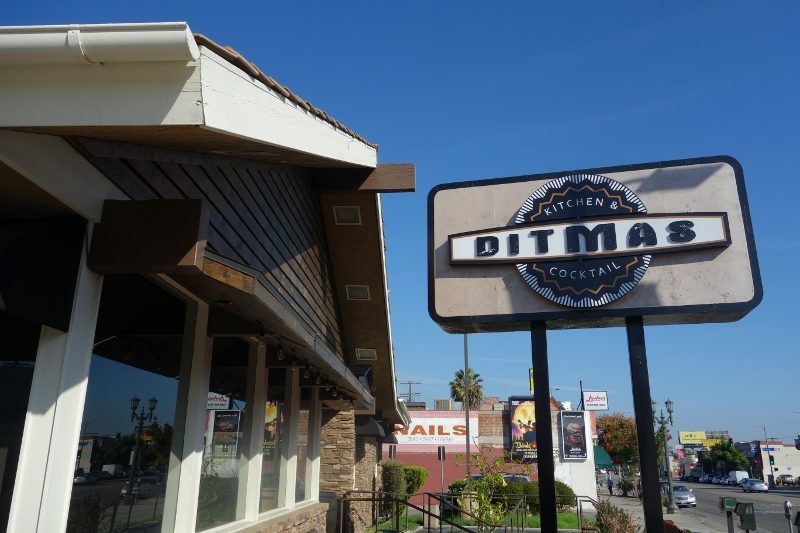 With a need for something contemporary in the kosher community, Chef Reznik opened Ditmas Kitchen & Cocktail on Pico Blvd, near Robertson Blvd, in the heart of the Orthodox community and kosher restaurants. The world of wine is vast. There are over 10,000 different varieties of wine grapes and wine is made in more than 20 countries around the world. In the US alone, there are more than 7000 wineries. So, when you are putting a wine list together, where do you begin? There are so many different wines to choose from that it is easy for wine buyers, and thereby customers, to default to familiar brands. Is it the job of the Wine Director to create a list that is recognizable to guests or to create a wine list that is esoteric and unique? Perhaps it is a combination of both. And, under the guidance of a passionate and knowledgeable wine team, the world of wine can be introduced to the customer. There are many wines that have been mass-marketed and are recognizable. Despite wanting to find wines they are familiar with, when customers go out to eat they don’t want to find wines that they saw on sale at the local grocery store. There is nothing worse than seeing a wine for $30 or $40 on a wine list that you might have seen at the grocery store for $11.99, or less. Also, predictable and safe wine lists are boring. This is not to say that a wine list should be like reading a foreign language. It should not be intimidating– but it should be exciting. A wine list must fit the restaurant menu and pair with the food. But it is also a chance to expose customers to new wines, new producers, new varietals and new places. A wine list is an opportunity to offer variety with a level of familiarity and a level of intrigue. Here are three ways that you can diversify your list without being completely obscure. We all know the popular, mass-marketed, highly rated wines. But, with so many fantastic under-the-radar producers, there are great quality wines at good value. It gets tiring to see the same handful of producers on every wine list. Encourage people to try new, small-lot producers from regions that they know and like, such as Napa Valley, Chianti or Marlborough, New Zealand. It is not uncommon to see wines from California, France, Italy or Spain on a wine list. But, why not add a wine from a lesser-known region, such as Greece, Slovenia or Croatia. While these regions may not be familiar to many, they produce international varietals, such as Sauvignon Blanc and Cabernet Sauvignon, which will be recognizable to all. For instance, Slovenia, a small country that boarders the northeast Italian region of Friuli-Venezia Giulia, has been making wine for over 400 years. It produces many recognizable varietals that are found world-wide, such as Pinot Gris, Sauvignon Blanc, Merlot and Cabernet Sauvignon, as well as indigenous varieties. There are interesting stories to tell about the countries and the wineries which will interest customers. For example, the 2009 Cabernet Sauvignon from Erzetic Winery in Brda, Slovenia is in many ways a typical Cabernet with characteristics of ripe red fruits, violet and vanilla. But this wine spends 18 months in a genuine Georgian clay amphora which allows the wine to age with less oak influence. Wine lists should have familiar varietals– such as Sauvignon Blanc, Chardonnay, Pinot Noir and Cabernet Sauvignon. But if you have wines from France, Italy and Spain on your menu, why not try indigenous varietals from those countries? If a menu features seafood and crisp white wines are what you are looking for, include little-known white varietals like Verdicchio, Vermentino or Albariño along with Sauvignon Blanc. And with meat dishes, include wines like Malbec, Tempranillo and Barbera, to name a few. Or to really add some different varietals, try Greek wines. The names (Assyrtiko, Agiorgitiko, Xinomavro) may be difficult to pronounce but they are starting to appear on wine lists. The red wine Xinomavro from Naoussa will satisfy those who like the acidity, red fruit and earthy characteristics of Nebbiolo but at a lesser price. Offering a diverse wine list does not necessarily mean offering a lot of wines. But, by offering a mix of different producers, regions and varietals, you will set a restaurant apart. The staff’s knowledge of wine will increase and rather than being complacent about the list, they will be excited to share it with customers, who in turn will be open to trying new wines. We can find pizza almost anywhere we go and there are lots of styles of pizza – thin crust, thick crust, NY style, Chicago deep dish. But, my favorite of all is Italian style pizza. From the crust that is just crispy enough to the appropriate balance of tomato sauce and cheese, Italian pizza is perfection. Top it off with the individual size of an Italian pizza, it’s a meal. But finding a proper Italian pizza in the US is not as easy as it sounds. There are lots of good pizza places out there but so many times the crust droops when you pick up the slice or the cheese and tomato sauce are just too much or too little. But, at Desano Pizzeria and Bakery, they are doing it just right. There are three locations in the US – Los Angeles, Charleston and Nashville. The Los Angeles location is in “East Hollywood” on Santa Monica Blvd just east of the 101 Fwy. If you live in LA, you might be thinking that there isn’t much just east of the 101. True. It’s a lot of warehouses but inside on of those warehouses is where Desano is located.